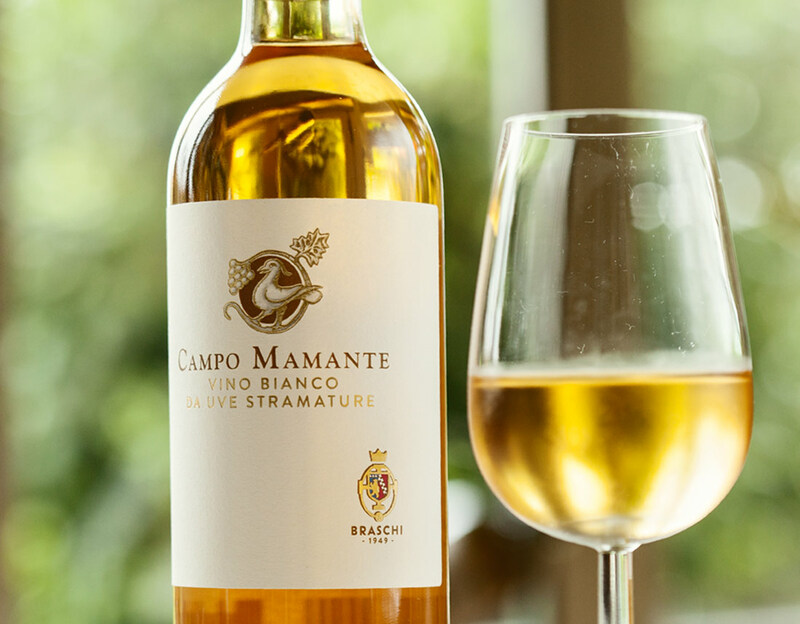 This late harvest white wine has been obtained from a single “cru Campo Mamante vineyard, located at 150 mt a.s.l., from noble grapes overipped on the plant. 3rd Decade of October - Traditional hand picking. 4-5 months french oak barriques, untill natural fermentation in ending. 6-9 months in french oak barriques, then gets bottled. Intense golden yellow color. Aromas of honey, peach, flowers, vanilla and grapefruit. 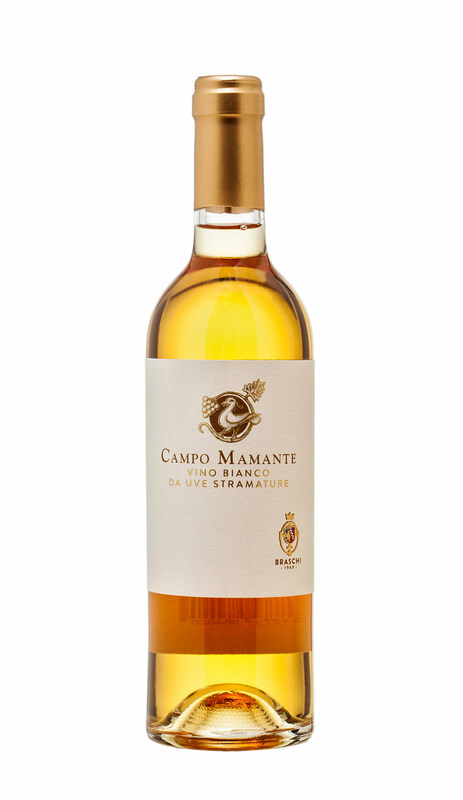 This sweet wine with important complexity is well balanced in crispy acidity and sweetness. Excellent with cheese, desserts in general. cakes and biscuits, candied fruits.